For many Wonder Woman fans, it was hard to get your classic interpretation of Diana in the New 52. Brian Azzarello brought in one of the most brilliant takes on Wonder Woman in decades with his five volume storyline, starting with Blood. This focused on the mythology of Diana and did an almost Vertigo-like tale that strung together dark fantasy elements. This was far different than the traditional superhero version, and so DC Comics started Sensation Comics Featuring Wonder Woman Vol. 1 . This “digital first” series released short weekly stories that were collected later in comic volumes, all of which were out of continuity and encouraged wildly different takes. This was never a big seller, but you can find some incredibly Wonder Woman stories here. Recently, the low sales numbers forced the hand of DC Comics and they announced it would be canceled, along with other digital first books like Batman ’66. 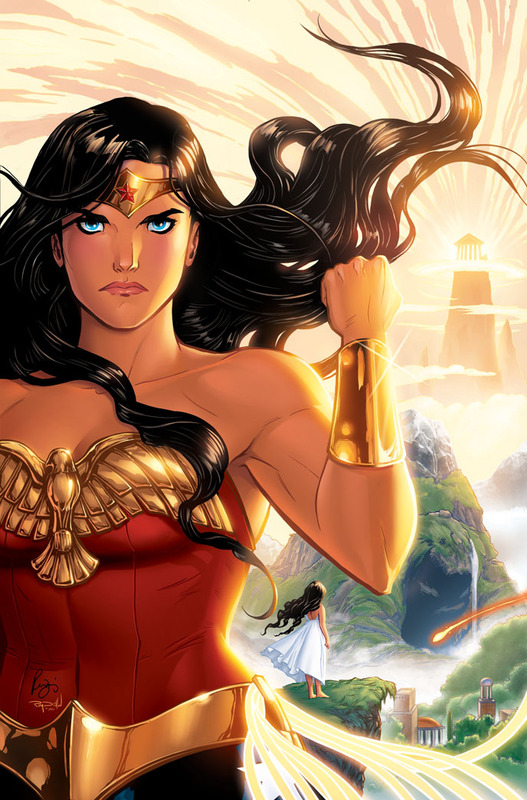 This certainly left a gap in the Wonder Woman slot, but DC Comics had a plan for this. In the beginning there was only chaos. But Hippolyta, Queen of the Amazons, sees a better future – and eventually her daughter is destined to bring that new world to life. But before her ultimate destiny is revealed, Diana of Themyscira must learn the important lessons of an Amazonian childhood! This will hopefully maintain some of the charm of Sensation Comics, but also work to build up the mythology that is so desperately needed in the burgeoning DCU.